Sandia Corp. and parent company Lockheed Martin, which operate the federally-funded Sandia National Laboratories, agreed to pay $4.8 million to settle claims that the company used taxpayer money to lobby congress to extend its contract to manage the research facility in violation of federal law. 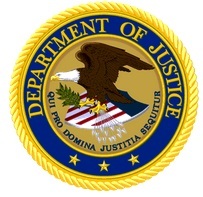 The Department of Justice opened an investigation earlier this year after an inspector general report showed the company used federal funds to stand up an in-house lobbying team to develop a strategy to extend the management contract for the facility at Kirtland Air Force Base in Albuquerque, New Mexico, after it was set to expire in 2012. Documents obtained by the IG revealed a strategy to influence congressmen and federal officials — including then-Energy Secretary Steven Chu. While these lobbying efforts were not explicitly illegal, laws and regulations prohibit the use of federal funds for such purposes. They soon settled on the production line for a $223 million aircraft with the wingspan of a tanker but no pilot in the cockpit, built to fly for a little over a day over vast terrain while sending imagery and other data back to military commanders on the ground. Given the ambitious name “Global Hawk,” the aircraft had cost far more than expected, and was plagued by recurrent operating flaws and maintenance troubles. Large defense programs claim any number of stakeholders, including the services’ program managers and their counterparts in the defense industry. But other key players — such as congressional staff and lobbyists — also have some skin in the game. Understanding their role in the defense acquisition process was the focus of a special forum hosted by the Defense Acquisition University Alumni Association last week. Bill Bahnmaier, the president of the association, told In Depth with Francis Rose the way the roles interrelate is often obscured because there’s rarely a “direct link” between them. The program manager for a particular acquisition program usually deals with the vendor through its respective program manager — not the company’s lobbyists. Keep reading this article at: http://www.federalnewsradio.com/399/3070301/Defense-acquisition-not-just-realm-of-program-managers. The days of the federal government awarding large contracts to tax-delinquent contractors may be numbered and industry believes they should have a say about the new policy aimed at singling them out. As required by the 2011 Three Percent Withholding Repeal and Job Creation Act, the Treasury Dept. is evaluating how well contractors are meeting current requirements to certify whether they have delinquent tax debts, reports the Federal Times. But in a recent letter to Treasury Secretary Timothy Geithner, the Professional Services Council asked the Treasury Dept. to begin a dialogue with the contracting community on “how best to capture and use information about contractors that owe taxes,” the publication said. — by Washington Technology staff, Feb. 28, 2012 at http://washingtontechnology.com/articles/2012/02/28/agg-tax-delinquent-contractors-treasury-dept.aspx?s=wtdaily_290212.